Thank you to everyone who joined us for Reach Week 2019 as we gathered to hear inspiring stories of God at work across the street and around the world. Scroll down to explore video highlights from from this amazing week and consider where God may be calling YOU! 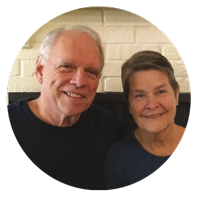 John & Julie Clark's Story - Trusting God's Call and following Jesus across the street and around the world. 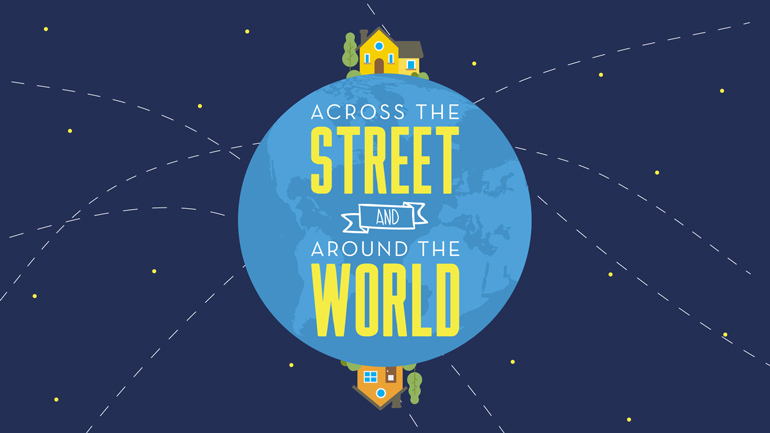 Jeannie Marie is the author of Across the Street and Around the World: Following Jesus to the Nations in Your Neighborhood...and Beyond. 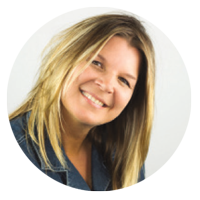 Jeannie loves to speak on how to create relational bridges with people from other cultures and faiths, and help people and churches find their global role, and missional strategy. Jeannie grew up as an expat, third-culture kid, in the Philippines until she came to the United States for a degree in Communications. Jeannie and her husband and four children live in the suburbs of Phoenix, Arizona. She also knows what it's like to find your global role starting right where you live, as she worked across the street from international students, refugees, community development non-profits, and at a church mobilizing others to go to the nations. She hopes to inspire others to live an extraordinary life following Jesus into other cultures with courage, compassion and confidence. 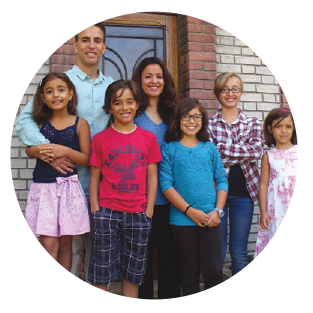 Bill, his wife, Kristie and their five children have lived in Paris since 2010.The Lord has broken their hearts for the 13 million people of the Ile-de-France. Hopeless atheism, empty secularism, and deeply-entrenched occultism oppress and depress the people all around them. The darkness, the spiritual resistance, and the oppression are palpable there. And yet, in the midst of it all, Jesus is building His Church. A new church is started every 10 days in France. Increased unity pervades denominations and churches. Young people are coming to Christ; many of them hearing the true gospel for the first time and responding. The Campbell’s focus with GEM is as the City Reach Leaders for Paris, leading in evangelism, discipleship multiplication, and simple-church planting. John currently serves as an advisor to the Executive Director of SIL International after previously serving for 8 years as President of SIL and 8 years as Executive Director of SIL International. John is a consultant for the Ejagham Old Testament, and a researcher of African languages. His wife, Kathie, trains others both in the USA and internationally in trauma healing and oral storying. The Watters have done linguistic fieldwork and consultation in Cameroon, Nigeria and Chad. John taught linguistics at UCLA and the University of Yaoundé in Cameroon. Founded in 1934, by William Cameron Townsend, SIL (originally known as the Summer Institute of Linguistics, Inc.) has grown from a small summer linguistics training program with two students to a staff of over 4,800, from 84 countries. Currently SIL works alongside speakers of more than 1,700 languages in over 100 countries. Patricia “Mama Sweetie” Sawo is the author I'm Not Dying and founder of the Discover to Recover Centre - an orphanage and school for children with HIV/AIDS in Kitale, Kenya. In addition to maintaining the physical and educational needs of the 53 children under her care, Patricia provides love and hope, rooted in Biblical fundamentals. She is the recipient of the 2011 CNN Hero Award. 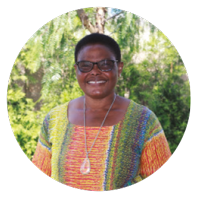 In 2002, Patricia was ordained as a minister, and she went on to help start ANERELA+, a network of African religious leaders living with or affected by HIV or AIDS. She began preaching about the issue regularly from the pulpit, believing that faith leaders have a responsibility to speak out. In 2005, she and her husband established the Discover to Recover Centre. It was originally intended as a place for adults to receive care. But as patients died, leaving their sons and daughters behind, it evolved into a home for children. Come hear about the work God is doing in Northeast Asia and what the needs are of the people living and working there. We will also have a time of prayer and hear about currents events in the region. 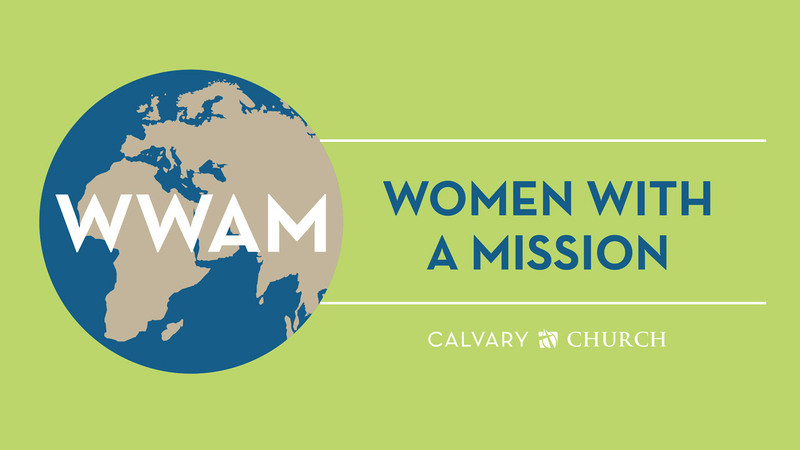 Women with a Missions (WWAM) is a multi-generational group of women who meet monthly to learn more about our missionary families. WWAM is a way to keep up-to-date with missions and connect personally with the missionaries by way of missionary speakers, videos, and correspondence from around the world. After the group session, the women break into small groups to pray for specific missionaries. WWAM meets on the third Thursday of the month at 9:00 am and again at 7:00 pm in the Fireside Room. 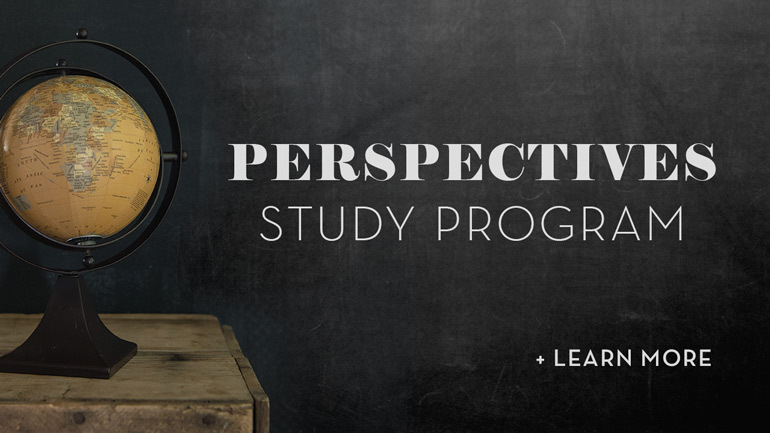 For over 40 years now, Perspectives has offered a dynamic learning experience to Christ followers from all walks of life; helping them to leverage their gifts and abilities for Christ's Kingdom work globally. Through the Bible, history, culture and strategy, students gain a vision of God actively at work accomplishing His purpose in the world, and how to better join with God in His work. With our newly recorded video curriculum, we are excited to offer even more access to the Perspectives Course through online classes. Learn from some of the nation's top instructors as they enhance our written curriculum produced by contributions from over 120 authors.